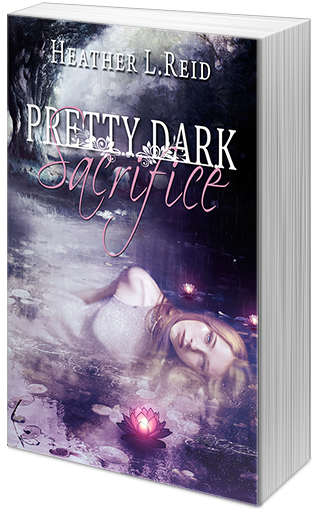 Heather L. Reid’s newest novel, PRETTY DARK SACRIFICE, follow-up to PRETTY DARK SACRIFICE, hits the shelves tomorrow! 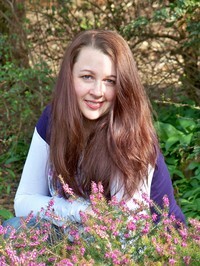 I was lucky enough to get to interview the lovely Heather about her upcoming release! And keep reading beyond the interview for more information on PRETTY DARK SACRIFICE, Heather L. Reid, and a giveaway!! For you, what is the hardest part of the writing process? Since I’m a panster, I’d have to say drafting is the hardest part of the process for me. I LOVE revising. Seriously, I could re-arrange paragraphs, ponder word choices, and strengthen tension and character motivations all day long. Getting new words on the page though, that’s the challenge. Do you have a writing ritual? Things that must be done before your muse will come out to play? Tea! Okay, more than tea. Seriously though, I write best in my writing chair in my office. I always have my essential oil diffuser on beside me, though the oils I choose are different depending on my mood. I make tea and do some yoga stretches, and then I sit down at my laptop, start my playlist on Spotify, and beg my muse to at least meet me half way. Sometimes I have to bribe her with Dove chocolate and another cup of tea. Panster. I wish I could be more of a hybrid, but plotting gives me hives. What is your favorite line, passage, chapter from PRETTY DARK SACRIFICE? Oh, that’s a tough question! I loved writing the scenes that explore the mythology behind the demons and reveal more of the backstory of Aaron/Kaemon and their connection to Quinn. I also love writing the scenes with Marcus. He adds just the right amount of humor to lighten the mood. What advice would you give to aspiring writers who hope to see their book published one day? Read everything you can. Read inside your genre and outside your genre, fiction and non-fiction. Then start writing. Experiment with different styles and point of views until you find your own voice. It takes time to develop your unique voice, and the only way to get there is by writing, no matter how bad it is at first. And if you’re passionate about writing, don’t give up. Look for mentors, ask questions, and learn what you can about the craft and about the business. Ice cream! I’m not too picky on the flavor, as long as it’s gluten/wheat free. Before I was diagnosed as celiac, I loved cookies and cream, but now, I usually go for salted caramel or chocolate or mint chocolate chip. I also recently had dark chocolate pomegranate ice-cream. So yummy! A lot of it depends on my mood. ← Reviews and Upcoming Releases!